In a large bowl, combine all ingredients except chips. Pour in 7x11 baking dish and bake for 20 minutes or until sides are bubbly and chicken strips reach an internal temperature of 165°F. 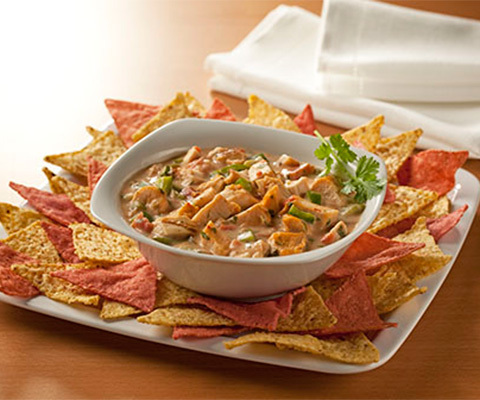 Serve right from the dish or transfer into a serving bowl and accompany with chips.